Tayeb Alhafez, MD, is a practicing physician and healthcare strategist. He has served as a Regional Medical Director while working with a healthcare delivery organization. He fostered communication and knowledge-sharing among medical directors in several hospitals, and provided mentoring and coaching that helped them excel in their leadership positions. His work helped them improve their relationships with their hospitals and affiliated physicians. Dr. Alhafez has experience leading successful inpatient hospital programs in non-profit, for-profit and academic healthcare settings. He takes on a wide range of responsibilities for improving care and controlling costs. He has practiced in North Carolina, Alaska, Hawaii, South Carolina, Oregon, Idaho, Montana and California. Dr. Alhafez is continuously working to share his knowledge and expertise in the areas of strategic planning and policy development through active participation in global forums and initiatives in health care. In September, 2011, Dr. Alhafez was elected to Fellowship in the American College of Physicians. "The FACP status that you now hold reflects your commitment to the internal medicine community. We hope that you will proudly display these credentials after your name. "— CPT Jeffrey B. Cole, MC, USN, FACP The non-profit was founded in San Francisco, California by Tayeb Al-Hafez, MD, who immigrated to the United States after completing his medical school education in his native country, Syria. Dr. Tayeb Al-Hafez, a hospital-based Internist with more than a decade of wide experience across the U.S., specializes in rural healthcare, healthcare stewardship, global health diplomacy, and health equity. We need to build a society of health and wellness, not of disease. The education, the knowledge, should be available before anyone ever becomes a patient. We should put access to knowledge, in the hands of everyday people, no matter where they live. — Paul R. Cook, MD, MHA, CPE, SCLA Paul R. Cook is President and CEO of Rocky Mountain Health Network, Inc. 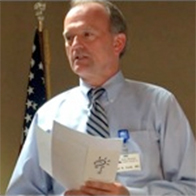 He is responsible for the executive leadership, strategic direction, and oversight for a 530-plus member provider-hospital organization in Montana and Wyoming. The PHO provided advanced medical and business management services for it members, which included over 260 physicians, over 250 of all other allied health professionals, seven hospitals, including St. Vincent Healthcare which is one of two tertiary care health systems in the state of Montana, surgery centers, home health, and other organizations. Provided principal interactions with health plans, state and federal legislators, and various health interests across the state and region. Interview with Paul Cook. Ms. Kostadinova is a professor at the University of Medicine in Bulgaria. She holds a Ph.D. in Economy and Management of Social and Cultural Activities from the University of National and World Economy in Sofia, Bulgaria. 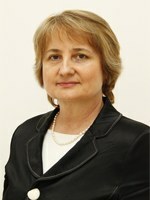 Professor Kostadinova is Dean of Faculty for Public Health at the Medical University of Varna, Bulgaria. She is an expert at the National Civil Council to the EU Commissioner for Consumer Protection. Ms. Kostadinova has worked with many national and international agencies around the world, including WHO, UNICEF, HOPE, UN, and the Association of Bulgarian Hospitals. She has served as a professor of global health at The George Washington University. Sarah Keller, PhD, is Chair and Professor in the Department of Communication and Theater at Montana University Billings. She and her colleagues have developed a social science research project for identifying strategies for suicide prevention in Montana. Dr, Keller was instrumental in creating innovative suicide prevention programs in Montana in partnership with GHEF and is experienced in community-based interventions, health education curricula and capacity-building projects. 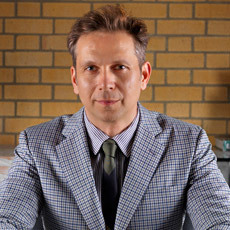 Dr. Keller’s research interests include mass media effects on adolescent sexual behavior and relationship beliefs; impact of public health media campaigns designed to promote reproductive health; adolescent media use and reproductive behavior; health communication; media effects on society; communication theory (persuasion; agenda-setting; framing; social network theory); development communication; and Internet studies.